As we head into the cold winter months, we want our home to be nice and warm, an escape from the cold. When the furnace in your home is not working properly, it can be frustrating and cold. Calling a professional heating and air conditioning company for heating services can take care of any problem and can make sure your home is warm and toasty even on the coldest winter nights. 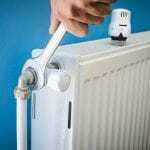 Heating services include regular maintenance. This is where a professional heating technician comes to your home and checks over your entire furnace. This allows them to make sure that everything is in proper working order and that there are no problems with your system. If problems are found, they can be fixed before they cause big problems. They will also check all filters to make sure they are clean and working properly. Regular maintenance can help your furnace run more efficiently and can lower your energy costs every month. If you think that something might be wrong with your furnace, heating services also include furnace repair and replacement. They can diagnose any problem and can fix it right away to keep your home warm. They will make sure to check the entire furnace for problems and make sure that it is functioning properly and efficiently. If the system is beyond repair, they can help you find a new furnace that is right for you. They will get it installed quickly so that you are not without a furnace for long periods of time. Contact us today at Air Kool Heat & Air if you are in need of heating services. We can answer all of your questions, and we can schedule an appointment to come and look at your furnace when it is convenient for you. We can help your home stay warm and toasty all throughout the cold winter months.